EXCLUSIVE! 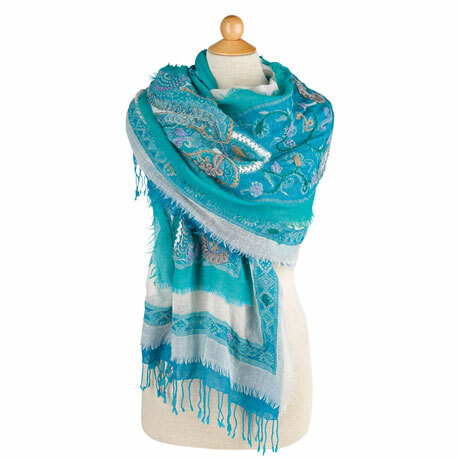 Layers of lightweight, gauzy 100% wool are lavishly embroidered with thick yarns to create an exotic accessory. 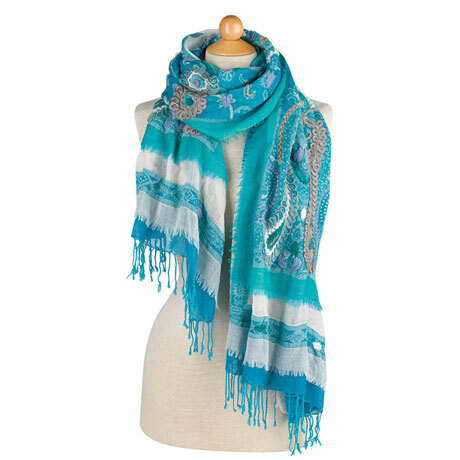 Wear it as an airy wrap or gather it into a scarf for warmth. Raw edges, 2" knotted fringe. 26" x 70". Dry-clean. Imported.